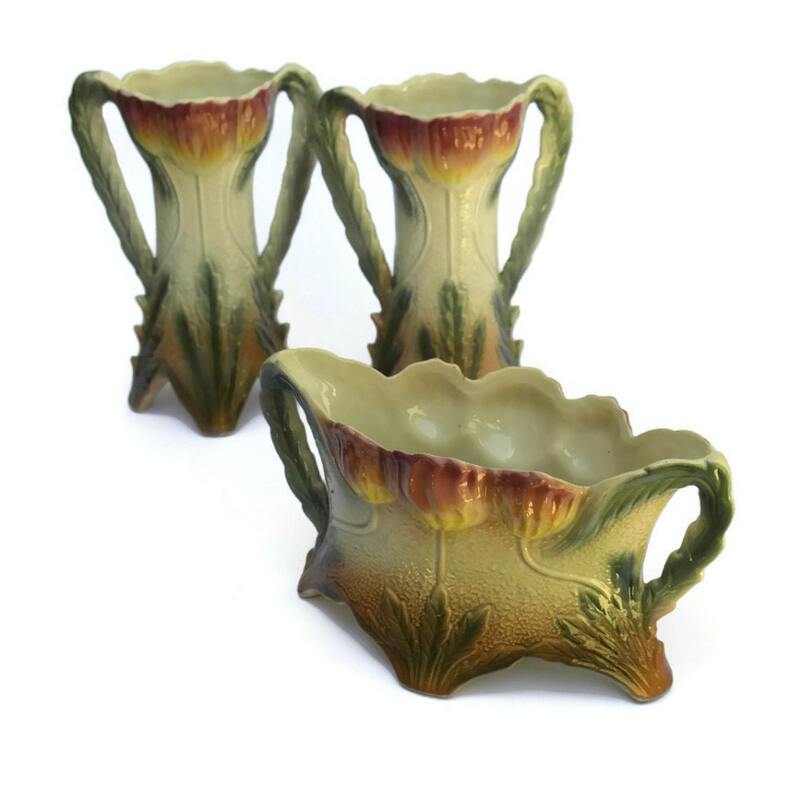 A beautiful Art Nouveau Majolica jardinière and vases dating from the early 1900s. 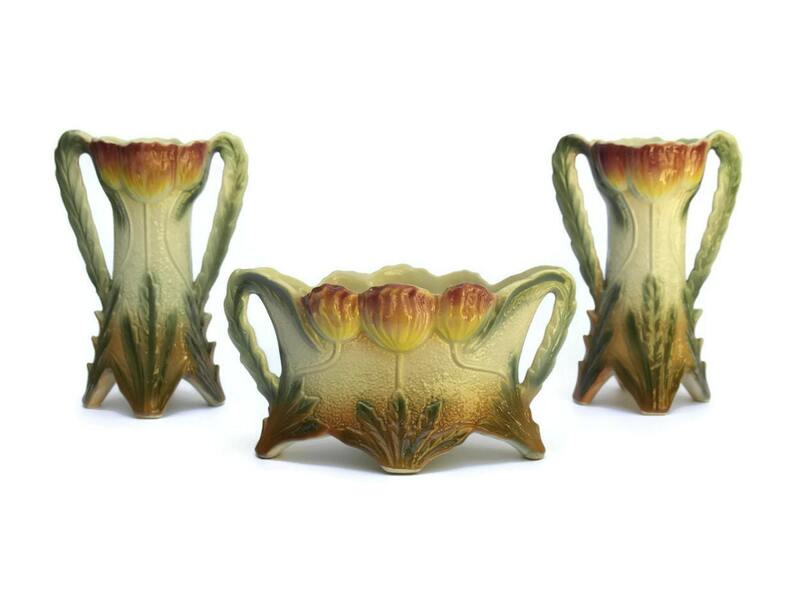 The antique French mantle garniture set is featuring a jardiniere and two matching vases. 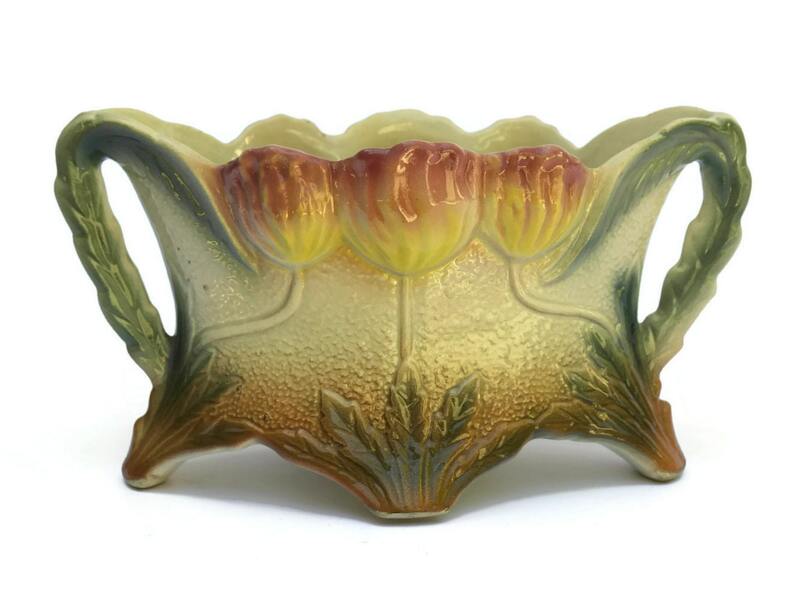 The majolica set has been decorated with charming tulip motifs in a raised relief designs. The three pieces have been hand decorated in a palette of pastel shades. They have each been stamped with the manufacturer's pattern reference numbers and there are no other visible identifying marks. Jardiniere: 9" Long x 5" High (23 cm x 13 cm). 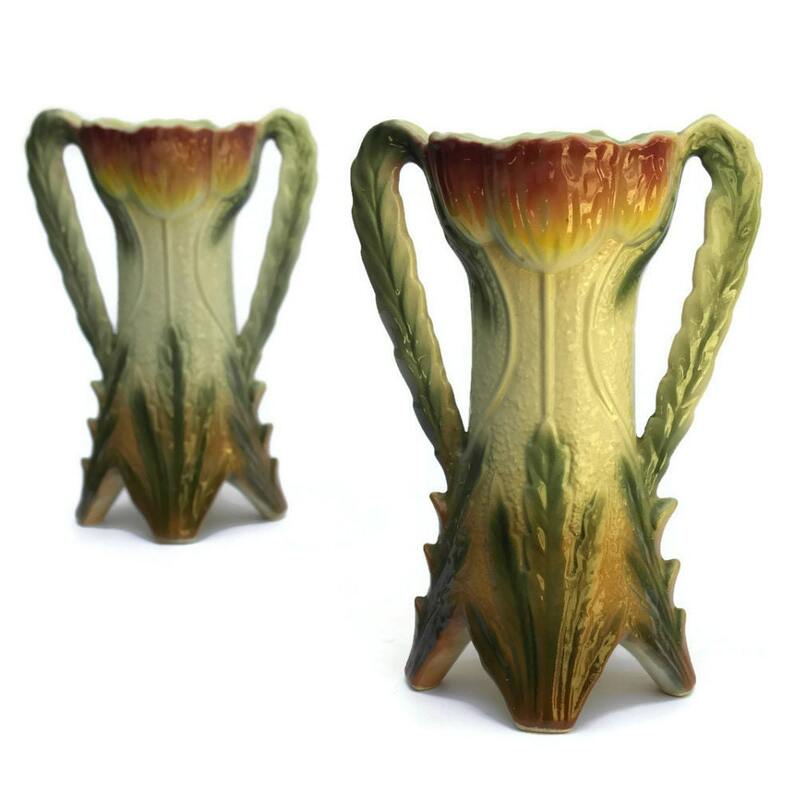 Vases: 8" Tall x 5" Wide (20 cm x 13 cm). 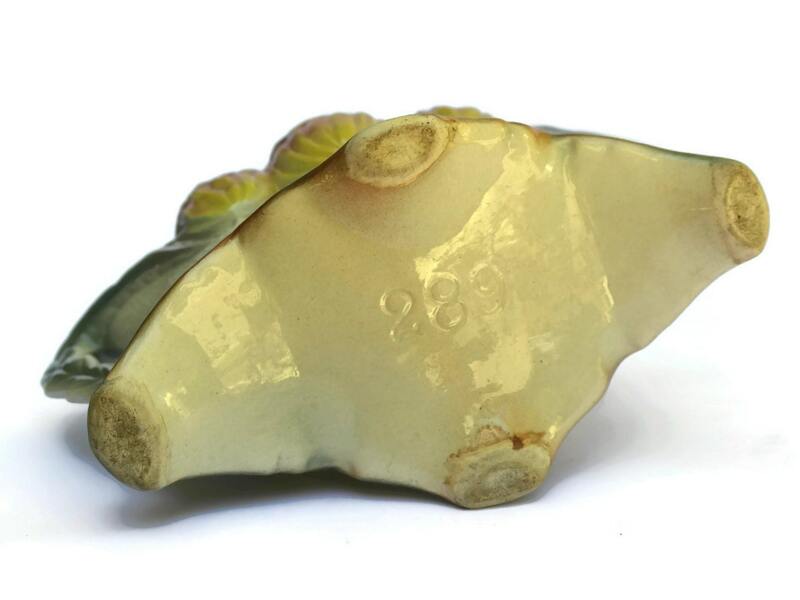 The antique majolica garniture set is in very good condition with light wear. There are no cracks or chips.